If you are in this blogging world, then you already know the importance of SEO search engine optimization and backlinks. 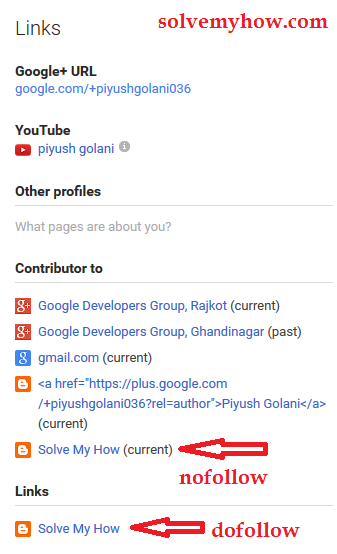 These two things matters alot if you wanted to come in first few pages of Google search results. But you can't neglect the content. The Content is always king. Your website ranking and traffic is always first dependent on the content you write and then how you optimized it. 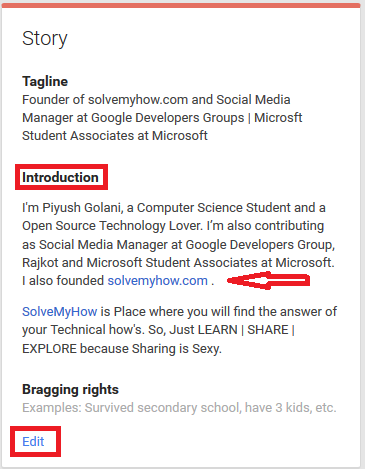 If you are the regular reader of SolveMyHow then you might have noticed that since my last few post I'm writing only about SEO link building strategies with the top social media sites and today in this post we'll see how to create free backlinks from Google Plus. Though Google follows 200 different factors to rank the search results but backlinks is the most important factor of all. So, right now you must be thinking how to get backlinks in SEO way right ? There are two link building strategies i.e nofollow and dofollow. NoFollow backlinks doesn't count by Google but still they're important if they are coming from some good PR site. While, DoFollow backlinks works as link juice for Google. Simply as many as DoFollow backlinks your blog have, It will rank higher in Google search results. Here we'll see how to get free dofollow and nofollow backlinks from Google Plus. 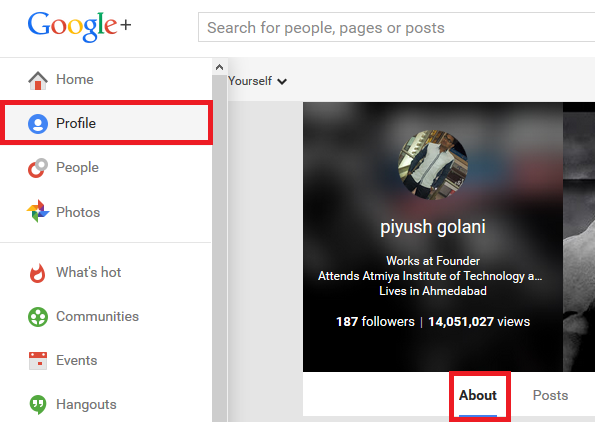 Step 1 :- Login into your Google Plus Account (Create an account if you don't have). Step 2 :- Go to Profile >> About. Step 3 :- Scroll down a bit and go to "Story". Step 4 :- Click on Edit. Now a popup will be opened and in "Introduction" Section introduce yourself, write your blog's link too. Look a the snap shot below. Step 5 :- Scroll down a bit and go to "Links". Step 6 :- Click on Edit. Now a pop will be opened and you will find 2 option. "Contributor To" will give you nofollow backlinks while, "Links" will give you DoFollow backlinks. So, just click on "Add custom link" to add your blog's links. Step 7 :- That's it. You've just got the free NoFollow and DoFollow backlinks from Google Plus. So, this was all about getting backlinks from Google. Hope you found this article worth reading and resourceful. Please feel free to share this post with your Google plus and twitter friends. If you have any problem or query regarding this post then please feel free to comment.